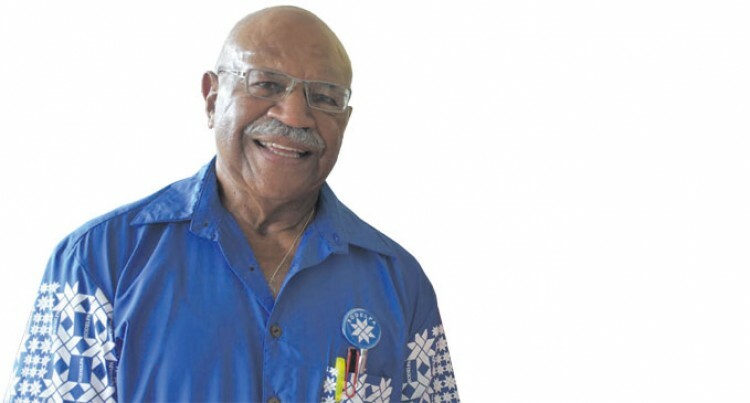 SODELPA leader Sitiveni Rabuka has got it wrong, once again. On the SODELPA blogsite on August 21, Mr Rabuka released a statement calling on the Attorney-General to “stop interfering in the Grace Road investigation”. He goes on to claim it was the Attorney-General who “by his actions” stopped the deportation of Grace Road Group officials. Such an outrageous claim is laughable from a former Prime Minister. 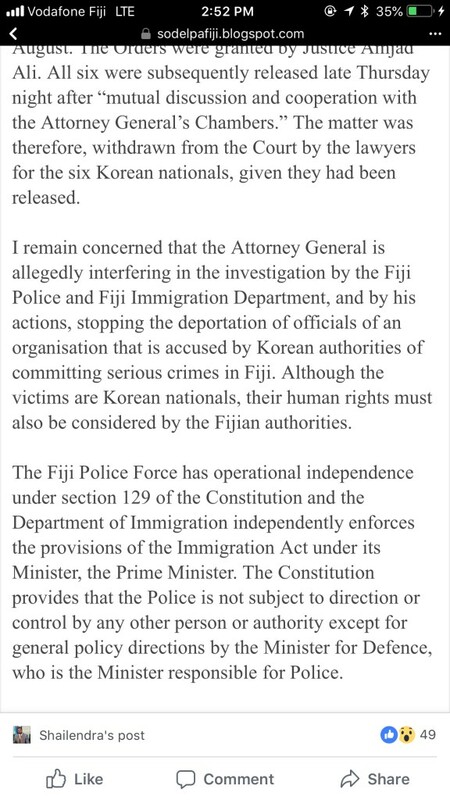 He deliberately ignores the fact that two different magistrates on two different occasions had granted an interim injunction against the deportation of six Korean nationals, who are all officials and employees, of the Grace Road Group. SODELPA released a statement by leader Sitiveni Rabuka calling on the Attorney-General to stop interfering in Grace Road investigation. Mr Rabuka says the comment by Grace Road Group lawyer Ronald Gordon thanking the Attorney-General’s Chambers for their assistance is somehow indication of interference by the Attorney-General. If Mr Rabuka and his team of experts on law had taken time to find out the truth and got some facts, they may not have released such a laughable statement. This may very well even be contempt of court to insinuate that it was the Attorney-General and not two separate magistrates on two different days who granted the order against deportation. It is worrying that a former Prime Minister is so ignorant about who runs the Attorney-General’s Chambers. Let me break it to him gently – it is the Solicitor-General and his team of lawyers. This is what happened – when Mr Gordon rushed off and sought the first interim injunction against deportation, he named the Police Commissioner, Director Immigration and Commissioner of Corrections in court documents. Who do these bodies seek their legal advice from? It was the Solicitor-General who these named defendants turned to, seeking legal advice on how to proceed with the matter in light of the interim injunction against deportation. Based on legal advice from the Solicitor-General, and based on the fact that the six were in custody for almost 48 hours without any charges being laid, releasing the Korean nationals was the only legal thing to do. Unless, Mr Rabuka is suggesting that they should have been deported or kept longer in custody against the court’s ruling? This is all about politicising an issue where there is no politics involved. Perhaps Mr Rabuka forgets his ministers were issuing directives to the Immigration Department to issue citizenships to one and all. Thankfully that has been put to a stop. So, Mr Rabuka’s allegation is not only false, it is also bordering on contempt of court and he should get his facts right before playing on peoples’ emotions.